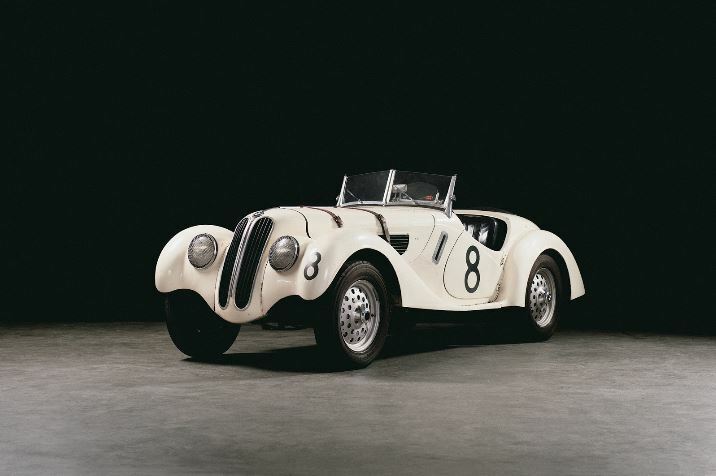 On May 12th, America’s Car Museum (ACM) is bringing the “Heroes of Bavaria– 75 Years of BMW Motorsports” collection from the BMW Car Club of America Foundation to its location in Tacoma as a crowdfunding campaign. The seventeen iconic race cars in the display will celebrate and detail BMW’s storied motorsports legacy. There will be a Bavarian-themed grand opening celebration at ACM that evening to welcome the collection to the museum. Donating to ACM’s crowdfunding effort will be rewarded with opportunities to extend the donator’s experience beyond what’s offered by typical automotive museums, including passes to the exhibit’s opening celebration, limited edition posters and books, private tours of the ACM collection, and the ability to “adopt-a-winner.” One lucky individual can also purchase an exclusive one-day experience at a BMW performance driving school, where they will be able to learn about the theory, physics and mechanics of performance driving. Tickets to the opening night include member discounts and are available at the Heroes of Bavaria page on ACM’s website. Also, a free limited edition commemorative poster is available for the first 150 people through the door. If you aren’t able to attend the evening opening, ACM Curator of Exhibitory Scot Keller will be leading an exclusive early entry Curator Talk & Tour on the morning of May 13. He will delve into BMW’s history and provide expert insight to the remarkable vehicles on display. Other notable vehicles include the very first 1961 700 RS, a 1972 3.0 CSL Groupe 2 Rally Car – the only one of its kind – and a 2000 Williams Formula F1 driven by Ralf Schumacher in eight total races, achieving three podium finishes. A sure sign that spring has arrived is the start of baseball season. Taking in a game is a memorable family-friendly outing that can be fun for all ages. 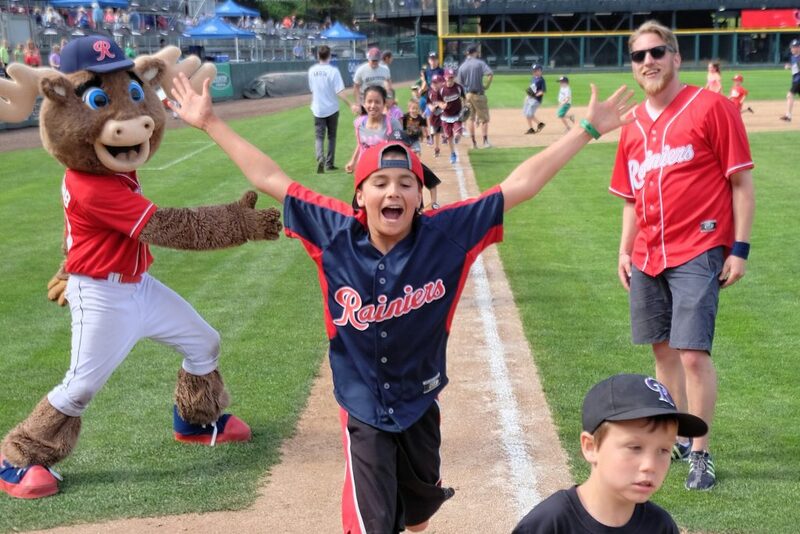 If you’re looking for an easy option to find top caliber athletic play in a stadium that gives fans up-close viewing and helps you stick to your budget, check out the Tacoma Rainiers at Cheney Stadium. The Tacoma Rainiers, the Triple-A affiliate of the Seattle Mariners, have a veteran-heavy roster and three of the Mariners Top 25 prospects, as ranked by Baseball America. These up-and-coming stars are sure to show off major league talent to impress even the most dedicated baseball fans. You’ll get extra bang for your buck by attending a game on a promotional night. Every Friday home game, and the July 3rd game, ends with a spectacular fireworks show. Saturday and Sunday games give kids a chance to run the bases like a pro. Other game nights highlight foster families, the armed forces, first responders, your favorite Washington college, and more! Several new concessions stands will tempt your taste buds beyond the standard park fare of hot dogs, popcorn, and candy. Hibachi-style rice bowls, a rotating menu of bratwurst, and fried breaded cauliflower are a few of the more sophisticated offerings. If it’s easier to feed the family before you get to the park, some games offer a ticket and meal package in partnership with Chick-fil-A or Little Caesars Pizza. If you have little ones who have a hard time sitting for long periods, take them to the playground or grassy berm area to run around. Both areas let you keep one eye on your child and one on the game. Outside food and drink aren’t allowed in the stadium, except water, which must be in a sealed clear plastic bottle. Gates open 60-90 minutes early to watch warm ups and maybe score an autograph from a player or photo with team mascot, Rhubarb The Reindeer! 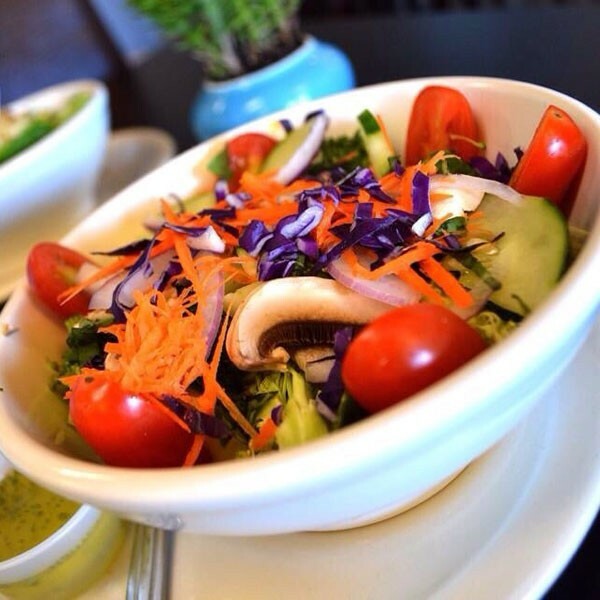 Since 2014, Happy Belly has been offering unique, healthy options to South Sound residents in search of fresh, delicious meals. Happy Belly owner and executive chef Jennifer Johnson has created a thriving casual-dining establishment that has a loyal following and new converts every day. It features Johnson’s unique perspective on balance in daily living and feeding one’s mind as well as one’s body through a variety of nutritious foods. Johnson is always looking for new flavor combinations for her dishes. “I am inspired by the way the senses work together—the smell of crushed tomato leaves, the ultra-sweetness of fresh pineapple, salty sea water, the dry feel of crumbling tobacco leaves, the silky feel of apple skin. I create food I wished was made for me and that I want to share with others,” she says. In addition, Happy Belly’s Kitchen Self-Sufficiency class series starts up again in March. The series will help you sharpen your knife skills, discover alternative flours and sweeteners, tackle multimeal preparation, and explore flavor combining. There is always a buzz when new upscale dinner options come along in Olympia. This fall the Percival Restaurant at South Puget Sound Community College started offering quarterly wine-paired dinners. The Percival is a venue for showcasing the advanced culinary artistry that students in the Culinary Arts program have developed. The menu featured a triple cream brie, fresh wild king salmon, pomegranate key lime granita, Snake River Farms wagyu striploin and a chocolate cream tart. Among the featured wines were TruthTeller’s Viognier, Shea Wine Cellar’s Pinot Noir and Woodward Canyon’s Cabernet Sauvignon, bringing the flavors of the Yakima, Willamette and Columbia valleys to the event. Before joining SPSCC’s program in 2016, McLean was the executive chef at the Marcus Whitman Hotel and Conference Center in Walla Walla. His long career of opening restaurants and leading other chefs brings incredible value to the Culinary Arts program. While the Percival Restaurant plans to continue its quarterly winepaired dinners (next dinner scheduled for Valentine’s Day), it is also open to the community for lunch from Monday to Thursday. The restaurant also offers special reservations, catering, and event and meeting space. Starting this summer, visitors to Point Defiance Zoo and Aquarium will be treated not only to a new state-of-the-art marine experience when the new Pacific Seas Aquarium opens, but also to breathtaking art installations featuring two Pacific Northwest artists. The $51.6 million project, led by Metro Parks Tacoma, is funded by the One Percent for Public Art program. As the name suggests, this program earmarks 1 percent of all public works project budgets for the creation of public art. The new aquarium was approved by voters in 2014 as part of the $198 million Metro Parks Tacoma bond. These additions to PDZA are projected to boost attendance at the beloved Pierce County destination, which annually sees over 700,000 visitors. 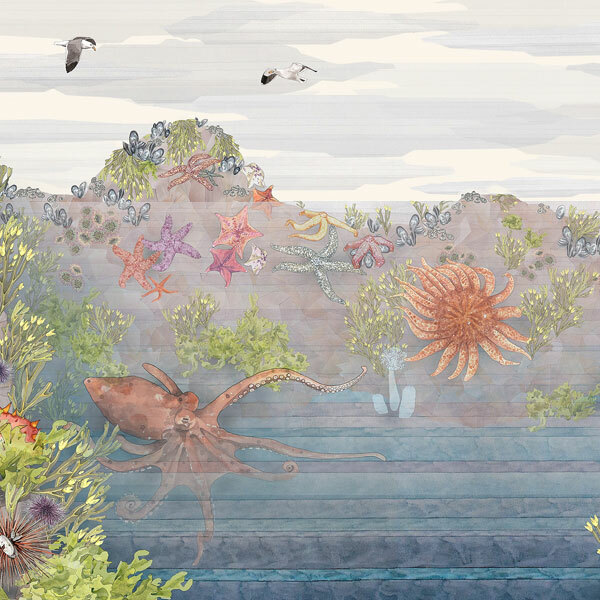 Maria Jost, Tacoma-based illustrator and Tacoma Public Schools’ Science and Math Institute science teacher, will be creating a marine-inspired mural for installation in the aquarium’s Tidal Touch Zone. 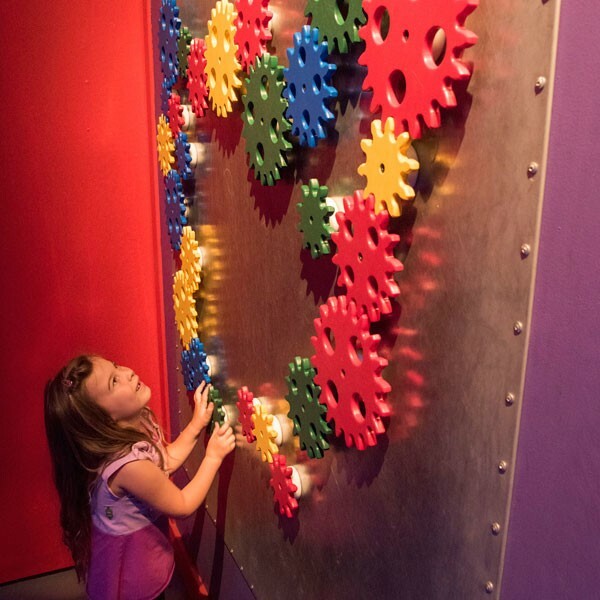 This zone is an engaging space offering hands-on and up-close experiences for people of all ages. Jost’s work has been seen in many Tacoma locations and was commissioned by Tacoma Makes for the 2014 edition of the Tacoma Playing Cards. In addition, Seattle glass artist Kait Rhoads created a glass jellyfish that will be suspended in the atrium just past the 250,000-gallon Baja Bay habitat. This habitat will be home to green sea turtles, scalloped hammerhead sharks, spotted eagle rays and other warmwater species. Rhoads’ work has been featured in museum and gallery exhibitions across the U.S. and internationally. For this, her first permanent public art piece, she collaborated with PDZA’s jellyfish aquarist Dr. Chad Widmer, the hot shop team at the Museum of Glass and students from Hilltop Artists. Choosing to highlight the talents of local artists for these important art installations in the new aquarium is evidence of the richness of cultural life in the Northwest. When you plan your visit, make sure you have a chance to appreciate all the beauty of this new South Sound gem. Northwest military members and their families have another great option to access services and programs: the new USO Camp Lewis Center. The center opened in November on Joint Base LewisMcChord in a space donated by and shared with America’s Credit Union. 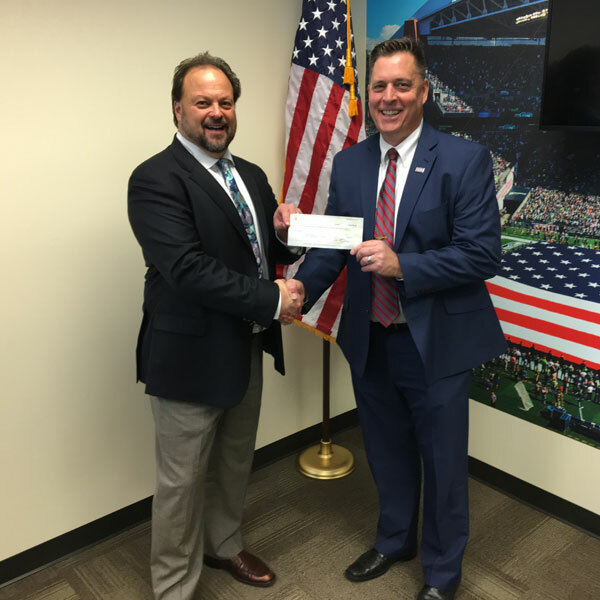 Ken Leonard, CEO of ACU, donated the 1,911-square-foot space and also presented the USO-NW with a check for over $12,000 to help fund programs at the new facility. The primary mission of the USO is to support America’s troops. It has developed a wide range of programs and services to meet the ever-changing needs of today’s military and their families. For service members from Lewis Main or Lewis North, the bustling USO Shali Center on McChord Field can be challenging to access, so the new Camp Lewis Center is a welcome option. The new center features a troop lounge with multiple televisions, computers with free internet, an Xbox gaming system, support to base operations during troop deployments and an information hub for USO programs. The center also offers United Through Reading, part of the Bob Hope Legacy Reading Program. This story time programming helps military families stay connected by assisting deployed service members to record themselves reading their child’s favorite story and then have that recording shipped home. The Camp Lewis facility is the fourth USO Northwest location, after McChord Field, Sea-Tac International Airport and Portland International Airport. With the help of more than 600 volunteers, USO Northwest serves over 750,000 military service members and their families annually. USO Northwest provides support to those who need it most. This may include troops deploying overseas and returning home, military families, wounded warriors and their families, and families of the fallen. The new center expands the reach of the USO to more service members and families, who have shown an increased demand for the important services provided through the USO. 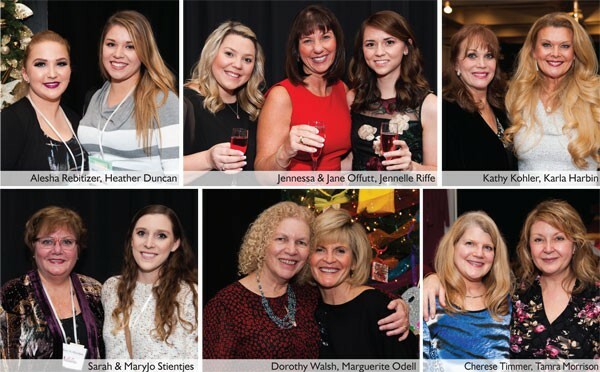 Providence St. Peter’s 30th annual Christmas Forest raised $672,000 to benefit the Providence mission of providing compassionate and excellent health care. In celebration of the sixday-long event, guests attended Ladies Night Out, which featured a night of shopping with local vendors and merchants, and entertainment by the talented local singer Chris Anderson. The event is the foundation’s largest fundraiser and community event, which brought in thousands of visitors to see the trees and wreaths decorated by volunteer designers. 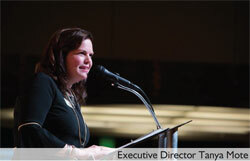 Funds help support charity care, life-saving equipment and compassionate programs for Providence ministries in the southwest Washington region. 425 guests enjoyed a social hour with tastings from Sandstone Distillery and Heritage Distillery. The evening’s program highlighted SPSCC’s Health & Wellness Center, Culinary Arts, and the Art Gallery exhibition. A delicious dinner was the collaborative effort between the executive chefs at Lucky Eagle Casino & Hotel and the SPSCC culinary program, providing an amazing opportunity for SPSCC culinary students. And the After Party was a rockin’ success, with Bella Strings providing its take on rock-n-roll with classical string instruments. 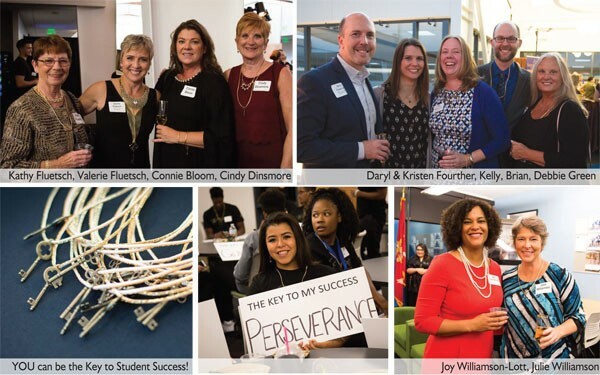 The evening’s proceeds earned a record half a million dollars in support of student scholarships! 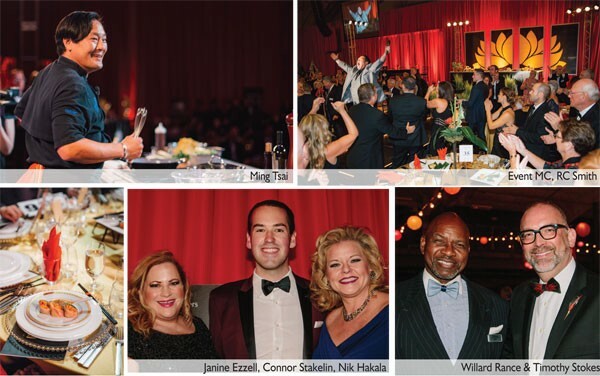 560 guests attended the St. Martin’s Gala featuring James Beard award-winning chef Ming Tsai, host of “Simply Ming” on PBS. Throughout the evening, Tsai offered culinary demonstrations of the five-course gourmet dinner at the stage kitchen. 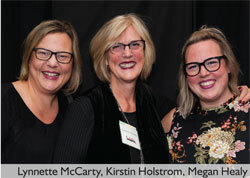 The evening’s program included a live auction and the much-anticipated Feed-a-Mind paddle raise aimed at generating scholarship funds for St. Martin’s students. The menu included tea-smoked salmon and crab lemongrass tartlets with avocado lemon puree, cold miso-shallot shrimp frisée salad and sesame chicken cucumber noodle salad, red roast duck legs with sweet potatoes and daikon served with rice, orangeginger lamb shanks with barley, and, for dessert, bittersweet flourless chocolate cake with cardamom cream and passion fruit coulis. Each course was paired with specialty wines from Maryhill Winery. 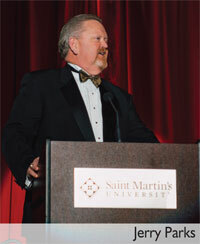 The evening’s proceeds raised $1.2 million toward student scholarships at St. Martin’s.